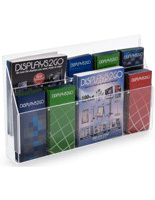 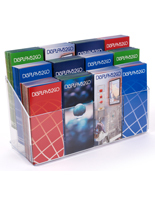 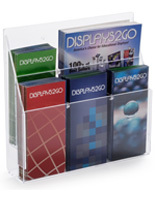 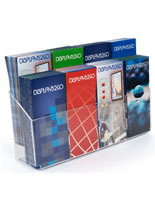 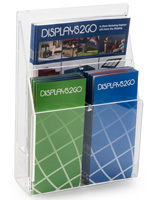 This acrylic flyer holder with (3) tiers is a great sales tool in an office or retail showroom. 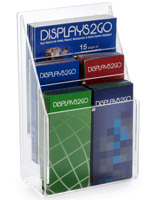 With (6) card pocket boxes, this stepped fixture is made of clear plastic through which trifold materials can easily be seen by customers. 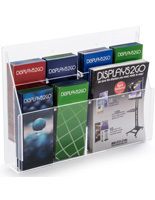 This flyer holder, such as a publication racks system, accommodates standard 4" x 9" pamphlets, encouraging clients to "take one." 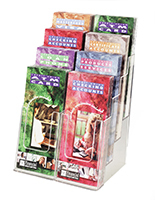 This literature displays accessory showcases trifold pamphlets in a simple, solid design. 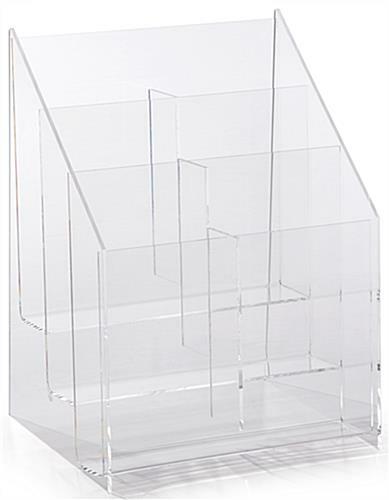 This holder is affordable, especially when purchased in bulk! 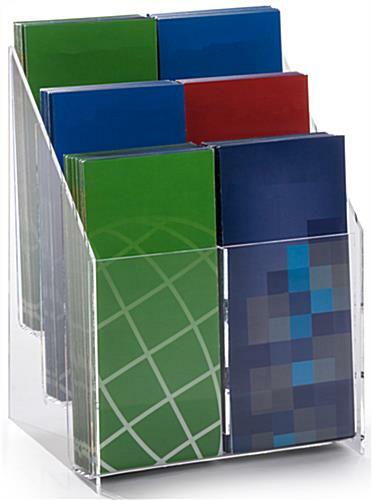 8.6" x 11.6" x 7.0"